it provides a facility to hide the data which is one of the main percepts of OOP. 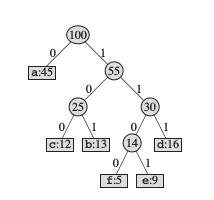 It also supports Inheritance, a mechanism by which one type can inherit characteristics from other types. It can have both variables and functions as members. When defining a class, we are creating a new abstract data type that can be treated like any other built-in data type. The data hiding(using private declaration) is the key feature of Object Oriented Programming. By default, the members of a class are private. The variables declared inside the class are known as data members and the functions are known as member functions. Only the member functions can have access to the private data members and private functions. The binding of data and functions together into a single class type variable is known as encapsulation. Data cannot be accessed by any function that is not a member of the class. A member function can call another member function directly, without using dot operator. When a function is defined inside a class, it is treated as an inline function.